As part of the Great Exhibition of the North in summer 2018, Rejig ran some sewing workshops for the Family Expo week at St James Park, Newcastle. 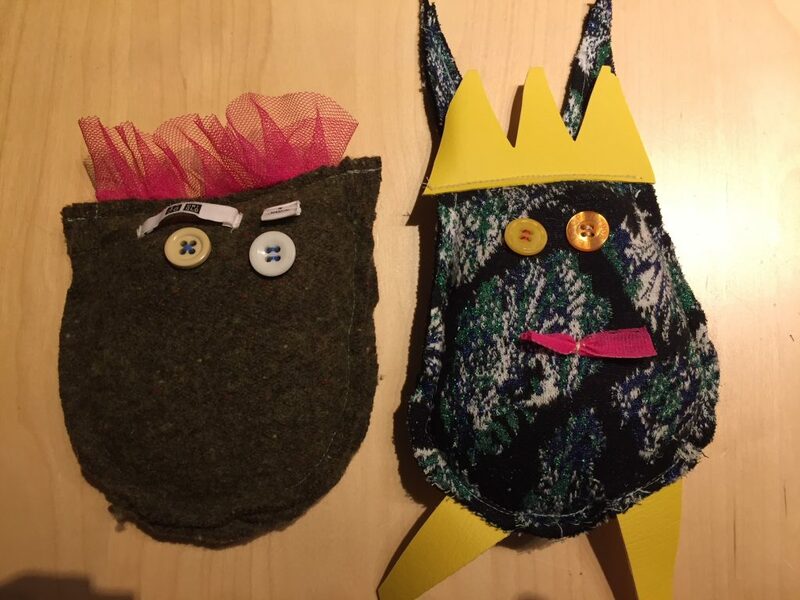 We were working alongside the youth work team from the Tyneside JUICE Festival and had a lot of fun making some amazing northern creatures from our large collection of recycled textiles. 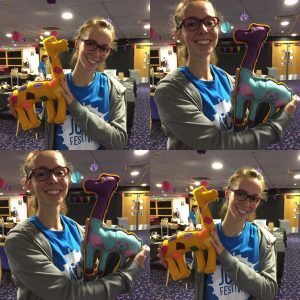 There were lots of very keen makers who visited the Family Expo sessions during the summer holidays and they got to have a try at everything, from electronics, soldering, making bath bombs, making recycled creatures and creating short animated films. Everyone also got the chance to have a look around the St James Park football stadium, which was huge and busy, like a small city in itself. The Rejig sewing & recycling sessions led to some marvellous creatures of all shapes, sizes and colours by the end of the two days. There was lots of skill sharing between generations around the tables and we had children as young as 3 & 4 years old using the sewing machines with gentle support and plenty of enthusiasm. We had a great team of keen volunteers who supported the making workshops and we couldn’t have done it so well without their help. They willingly threw themselves into making fantasy creatures with visitors of all ages, showing how to sew on buttons, making very fine tails from shiny netting, snakes from the arms of wooly jumpers and ears from spare bits of vinyl. It was busy and fun and a great way to get everyone making things together.